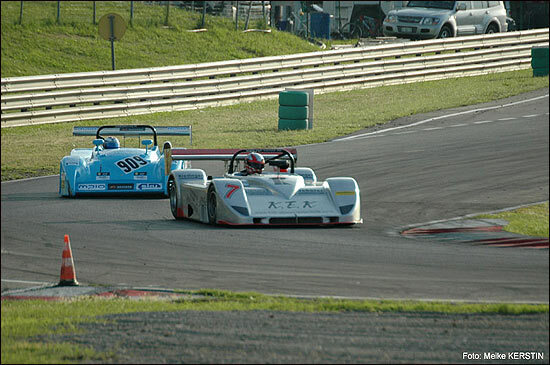 The 2006 Sports Car Challenge saw its first weekend of racing action on May 13/14 at the Autodromo Riccardo Paletti, at Varano de’ Melegari in Italy. In the land of wine and Parmesan cheese, with the Dallara racecar factory and the Barilla pasta factory located nearby, you could call this the quintessential Italian racing circuit. At only 2.4 kilometers in length, it is nevertheless a demanding track for drivers and cars alike. The cars, especially, took a beating this weekend. 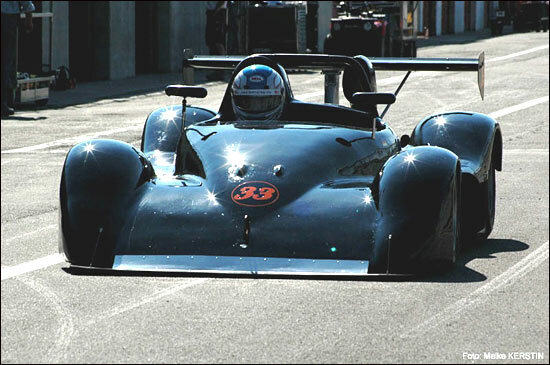 With a few competitors deciding to give this first round a miss, among them Briton Mike Roberts who took part in a race in Britain instead, the field was down to thirteen cars for the qualifying session on Saturday, May 13. Czech newcomer Michal Pavlik experienced technical trouble with his Picchio which could not be remedied despite factory assistance, and Mobi Racing’s Klaus Wolfert also retired his MRP before the first race, with a blown engine. 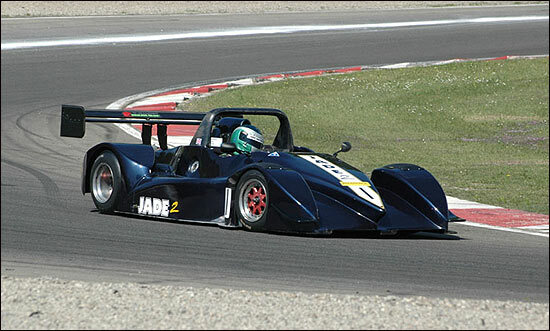 It was nevertheless a Varano “debutante” who made the pace throughout the event; Britain’s Tony Sinclair, in his Jade 2, won both races with a strong performance that also saw him clinch pole position twice, and turn the fastest sportscar lap of the day. In race 1, Sinclair left the field in his wake as he led every single one of the 25 laps. Behind him, second quickest qualifyer Wolfgang Payr in the Cosworth V8-powered PRC had his work cut out fending off Gerd Beisel and Sabrina Hungerbühler. Beisel was back in his accustomed PRC-BMW, with the ex-Daytona Norma M2000 not quite ready in time, while the Swiss lady driver made her comeback in the series after a year’s absence, driving a Krisam Rennsport prepared Osella-BMW for Scuderia München. 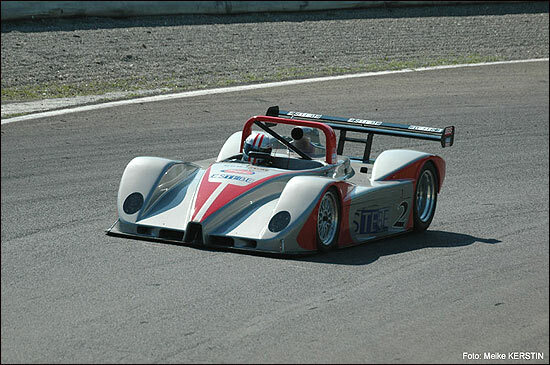 It was Hungerbühler’s premiere at Varano as well, but she was a podium contender in Division 1 throughout the event. Payr (above) had trouble getting his tyres up to working temperature, and was fighting an uncooperative racecar; twice he slid wide, and that was enough for Beisel, then Hungerbühler, to slip by. Beisel then spent ther best part of the race defending his second place against the hard-charging Hungerbühler. Try as she might, she did not find a way past the German veteran of SCC competition. In Division 2, Hungerbühler’s compatriot Pius Truffer made the pace in the 2.5l PRC-BMW. 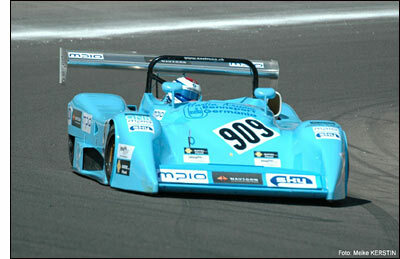 Mobi Racing had already lost one car but the other, Honda-engined, MRP was second- fastest in class; Gerd Beisel’s team mate at RWT, Gerhard Münch, drove the brand new Norma M20, also with a Honda CN engine, and was instantly competitive. Truffer’s race was cut short by brake trouble, and Hallau took over at the head of Division 2, chased by Münch in the Norma, and Karl-Heinz Matzinger in the PRC. It was the first sportscar race for experienced touring car driver Matzinger and his team Hoffmann Racing, and they were doing exceptionally well, as Matzinger profited from Münch’s mid-race spin and took second place in class. Mobi Racing also brought along a Mygale Formula Ford for two young drivers making their transition from karting to circuit racing; Denny Görsdorf and Daniel Haas shared the car for this weekend, both running clean races and staying out of trouble. 1. Tony Sinclair/GB, Jade-Nissan (1. Div.1), 25 laps in 28:25,669min. 2. Gerd Beisel/D, PRC-BMW (2. Div.1), -11,115sec. 3. Sabrina Hungerbühler/CH, Osella-BMW (3. Div.1), -11,775sec. 4. Wolfgang Payr/A, PRC-Cosworth (4. Div.1), -57,361sec. Payr had a minor “off“ in qualifying for race 2, damage was only superficial and he lined up in second position on the grid for the Sunday race. Both Saturday winners were overtaken at the start, but it did not take them long to restore the old order. Sinclair was back in the overall lead after half a lap, and charged off into the distancen putting a comfortable 16 second gap between himself and the opposition. Meanwhile, Payr again had Hungerbühler and Beisel breathing down his neck, and by lap 6 he had been demoted to fourth place. But then trouble started for Gerd Beisel, only five of the available six cylinders in his car’s BMW engine still working properly. Sabrina Hungerbühler (right) soon had her revenge for race 1; her car had been found under the weight limit on Saturday, and she was put “on probation” for the Sunday; there were no asterisks to her second place this time around. Beisel had a late-race scare when he narrowly avoided a spinning Division 2 car; Payr soon got past him as well, and with this, the Division 1 podium was complete. Hallau (below) quickly re-took the lead in Division 2 from Gerhard Münch, and again took a convincing class win, in fifth place overall. Münch was the runner-up this time, with Matzinger getting his second podium finish in his second sportscar race. 2. Sabrina Hungerbühler/CH, Osella-BMW (2. Div.1), -17,071sec. 3. 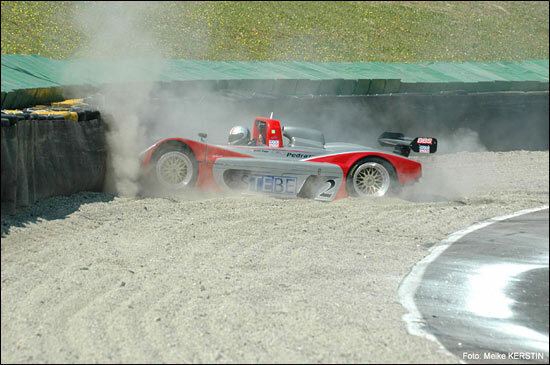 Wolfgang Payr/A, PRC-Cosworth (3. Div.1), -47,609sec. 4. Gerd Beisel/D, PRC-BM (3. Div.1), -55,311sec. Between the two classes, five chassis manufacturers (PRC, Jade, Osella, MRP, Norma) and four engine makes (BMW, Cosworth, Honda, Opel) were represented on the podium. The Sports Car Challenge continues to be all about variety. 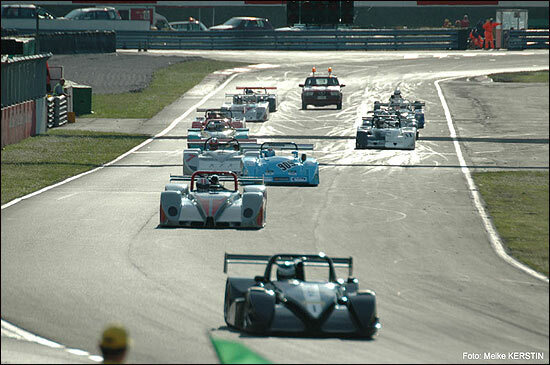 From Italy, the series now moves on to Dijon in France for two races on June 10/11.